Located in the leafy suburb of Maadi in Cairo, CIDT is a premier translation and research facility focusing on inter-communal relations in the contemporary Middle East. 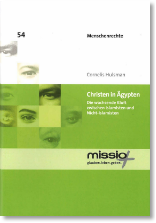 The primary task of CIDT is content production for the Dutch publication Arab-West Report. The center also manages commercial translation projects and commissioned research for a number of partners in Egypt and abroad. We carry out translations for a number of organisations in Egypt, elsewhere in the Middle East, Europe and the USA. Our major client is the Arab-West Report, which publishes a weekly digest of articles translated mainly from Arabic language newspapers and magazines available in Egypt. The articles selected and translated are relevant to intercultural dialogue and Arab-West and Muslim-non Muslim relations. Please contact us if you are interested in finding out more about this work.